Supported by our experienced professionals, we are offering an exceptional assortment of Solvent Based Epoxy Coating Services to our customers. These services are widely applicable in various commercial and industrial areas. 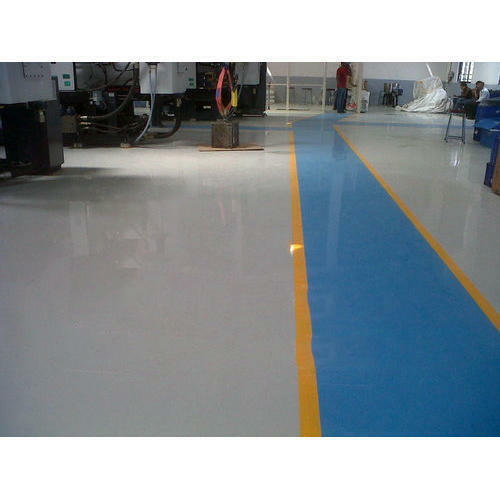 In addition to this, these coating services are offered at affordable prices to attain optimum customer satisfaction. Established in the year 2003 at Pune, (Maharashtra, India), we "Sai Enterprises” is a Proprietorship firm, engaged as the foremost Wholesaler Trader wide range of Waterproofing Chemical and many more. Our products are high in demand due to their premium quality and affordable prices. Under the direction of our mentor “Somnath Pawar (Proprietor)”, we have been able to achieve a reputed name in the industry. We are also providing flooring service to our valuable clients.